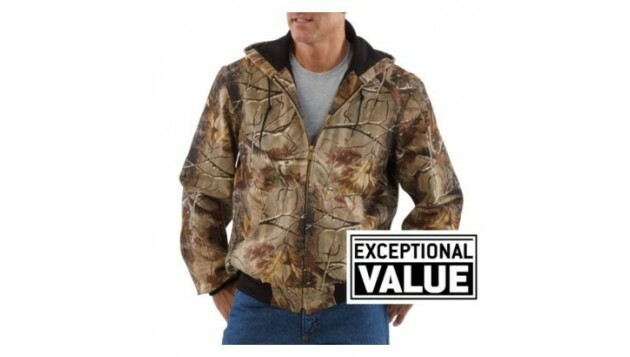 Our Camo AP active jac is thermal-lined, which is lighter weight than our quilt-flannel lined Camo AP active jac. 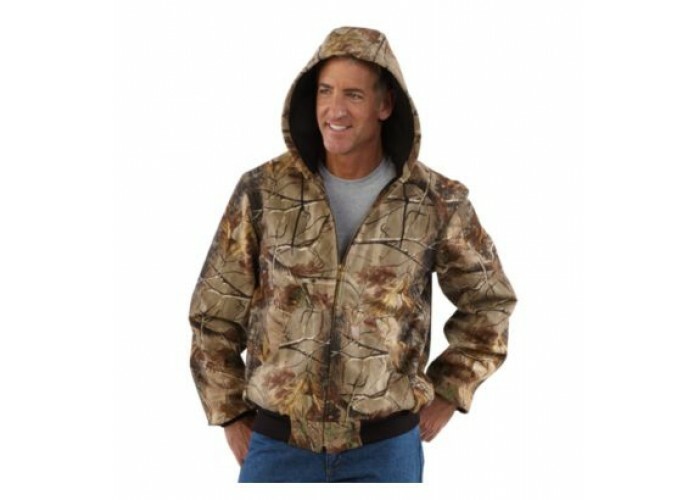 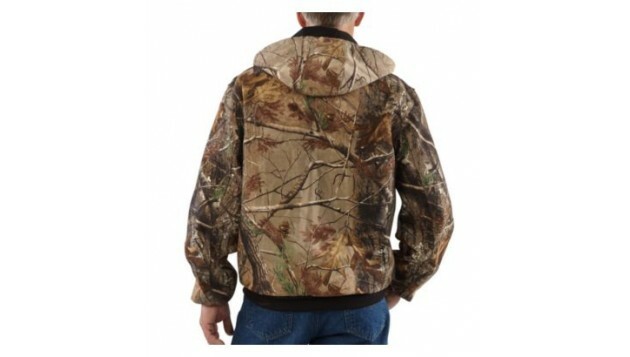 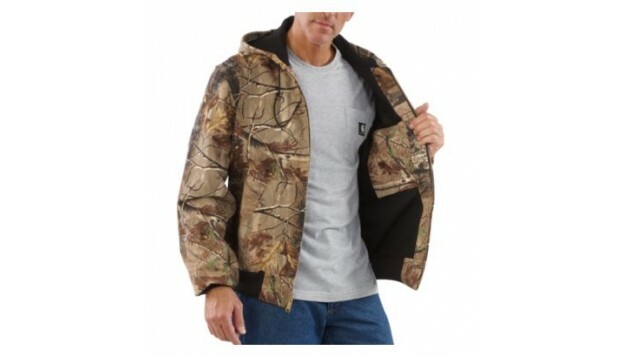 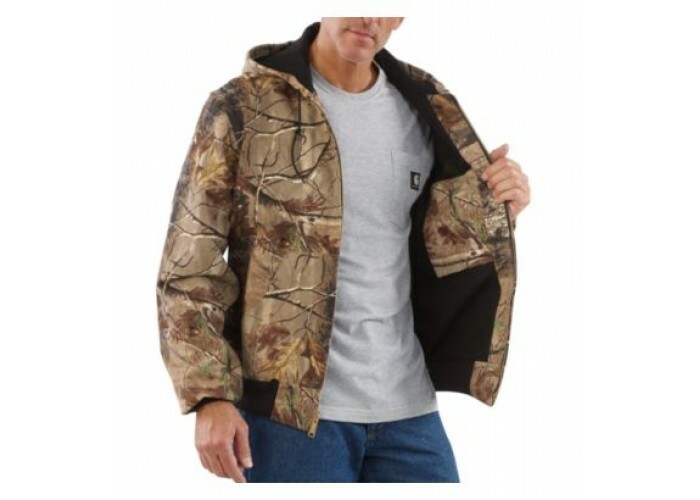 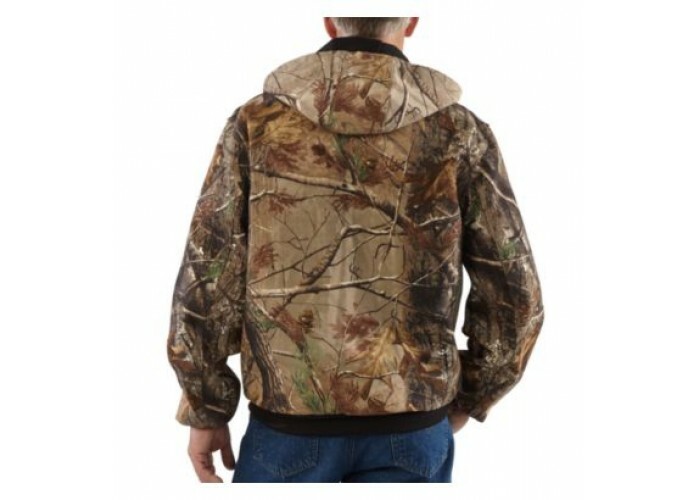 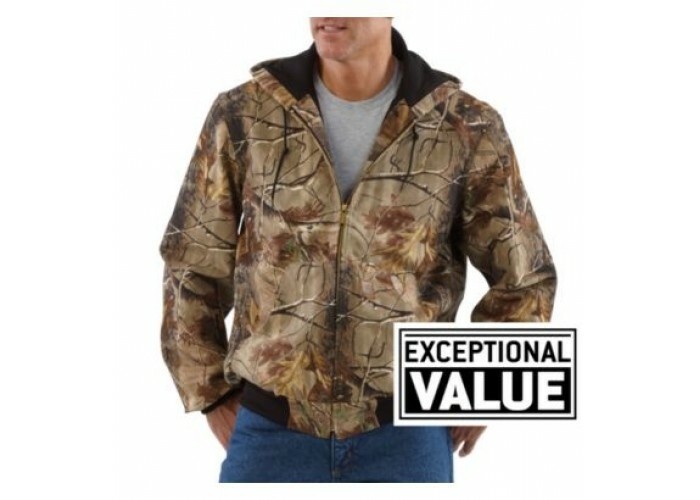 It features a 12-ounce, 100% cotton duck with Realtree® AP HD® camouflage pattern, 100% polyester thermal lining, two inside pockets, two large lower-front pockets and rib-knit cuffs and waistband. 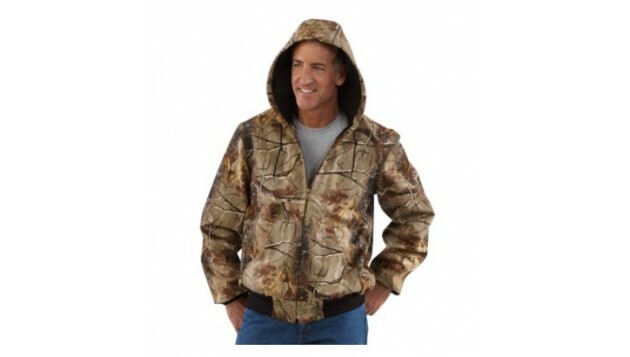 It also has an attached thermal-lined hood with drawcord closure and triple-stitched main seams.